Fans of the Mass Effect series are surely looking forward to Canadian developer Bioware’s Mass Effect Andromeda, which is one of the most eagerly awaited video game releases of 2017. And considering that the game will feature what’s looking like an epic single player campaign, great characters and likely good multiplayer modes, it’s logical that expectations are sky-high for this upcoming Electronic Arts game. And those looking forward to play the game on PC will likely want to know what Mass Effect Andromeda’s system requirements are, so that they can get the most out of the game and find out whether their rig makes the cut and will be able to run this latest Mass Effect. And thankfully publisher Electronic Arts recently revealed the kind of machine those who game on PC will be needing in order to enjoy Mass Effect Andromeda’s sci-fi action. 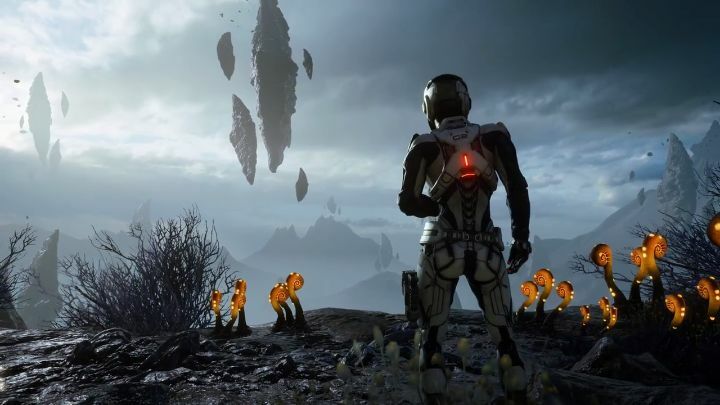 The game’s minimum requirements are quite reasonable, though, with gamers being able to get away with an Intel i5 or AMD FX-6350 processor and a Nvidia GTX 660 or AMD Radeon 7850 graphics card, while those who want the definitive Mass Effect Andromeda experience will need to meet the recommended requirements. Electronic Arts recommends players have access to a pretty powerful PC to make the most out of the game, one equipped with an Intel i7-4790 or equivalent AMD processor and a healthy 16 GB of memory, and also a Nvidia GTX 1060 graphics card with 3 GB of memory. These demanding system requirements are understandable considering that the game will make use of the latest iteration of the Frostbite graphics engine to offer some stunning visuals as seen in the game’s trailers so far. The Frostbite engine has also featured in other EA titles like DICE’s Battlefield 1, one of the best-looking games of last year no doubt. But in spite of those demanding system requirements, Mass Effect Andromeda could turn out to be one of the best games of the year, and if Bioware’s eagerly awaited game lives up to the hype, then Mass Effect fans will surely be smiling when the game is released next month.